Chainsaws are vital tools in the forestry and landscaping industries. Arborists, gardeners, tree surgeons and even conservationists use them for felling trees, clearing undergrowth and brush, cutting firewood and countless other purposes. Woodland owners and forestry workers would be lost without them, but chainsaws can be dangerous and should be treated with respect. 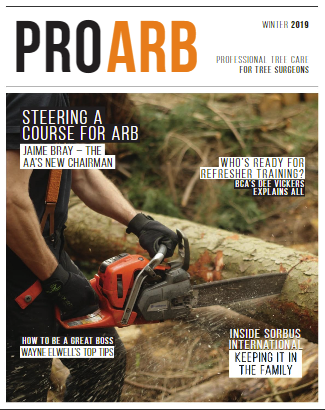 In this guide we’re going to take a look at chainsaw safety. We’ll begin with the number one prerequisite for anyone using a chainsaw, and that’s training. You need training as well as a certain level of physical fitness to use a chainsaw properly and therefore safely. Employers should ensure all employees who use this equipment are properly trained and supervised by experienced staff when using a chainsaw for the first time. Training must cover safe use and maintenance of the chainsaw. Users need to be able to spot wear and damage in the equipment, and know how to clean and sharpen the chain. They need to know how to wield the saw for different purposes; tree felling requires a different technique and has different hazards than clearing undergrowth for example. Employees also need training in assessing the conditions they work in. They have to assess the trees that they are working with and they need to be aware of the requirements of the environment, as they may be working in remote areas or near a public highway or railway. Employees are likely to be working outside in all sorts of weather conditions. They need to be aware of the different safety requirements for all of these environments and of course, assess the impact of their work on surrounding people, animals and property. A well maintained chainsaw is vital for safety, but there are other pieces of equipment that are essential also. Personal Protective Equipment (PPE) is vital. No worker should use a chainsaw without the correct safety equipment. A chainsaw helmet is required for all chainsaw users in all circumstances. If you are going to be working off the ground, you must wear a helmet with a chinstrap; HSE recommend a helmet with 4 point chinstrap conforming to EN12492. Flying debris from chainsaw use and other hazards such as branches mean that your face and eyes need extra protection through use of a mesh visor or face shield or safety glasses. The noise of using a chainsaw also necessitates the use of ear defenders for hearing protection; the higher the SNR rating, the better the protection. Chainsaw gloves should be worn to protect the operator’s hands – most chainsaw gloves have protection to the back of the left hand only, the hand at greater risk, although there are some gloves available with protection on both hands. Chainsaw trousers should always be used, to protect the legs and groin from cuts. A fully trained operator working on the ground requires a minimum of Type A front protection trousers; trainees, less experienced operators and persons working off the ground should wear Type C trousers with front and back protection. A chainsaw jacket is also advisable; A high-visibility, non-snag jacket will protect the operator from cold, wet weather conditions and provide additional safety. For the full low down on safety equipment standards, the Health and Safety Executive website has all the information you need to make sure your PPE is fit for purpose. When felling a tree, you need to be sure that you use all the safety precautions available to you. You must assess the tree to see if there are any problems with the limbs, the lean or the number of stems. Some trees are more difficult to fell than others and you need to be certain of what you are dealing with. Evaluate your escape routes and the tree’s direction of fall. Make sure that there are no other people in the area other than your colleagues, and that if there are other people around that they are aware of you and your work and are clear of danger. You should first make the undercut, which should match the planned direction of fall. Then you should make the back cut, which must be higher than the undercut to ensure that the tree does not drop back towards you while you are sawing. Please note, this guide is only intended to give a brief overview of safe chainsaw technique and is in no way intended as a replacement for proper training. Finally, a word or two about first aid. Accidents can and do happen, in spite of all precautions. You need to assess the risks of your work area and work plan, and act accordingly. You should have a personal first aid kit with you at all times, containing at least a large wound dressing, plastic gloves and a Resusciade, or similar device. Make sure that you have a trained first-aider on site and that you can get through to the emergency services to call an ambulance if you have to. It is highly recommended for any chainsaw user or team of operators to carry Celox. Celox is a haemostatic granule which is proven to rapidly control severe or life threatening bleeding, and is available as a sachet of granules or a granule impregnated gauze. It is also recommended to carry a safety whistle for attracting help in the case of an emergency. Lone working can be very dangerous. If you are working alone, you should have a clearly established contact schedule at all times. Your contact should expect to hear from you throughout the day and should be in a position to get help to you if contact is lost. Paul George is the managing director of Landmark Trading Ltd, and has worked in the arboricultural industry for 14 years. Landmark Trading are one the the UK’s leading suppliers of arborist equipment. You can connect with Paul on Twitter, Facebook or call Landmark Trading on 01780 482231.